NOTE: Helmet is not included. 1.Is it the new condition? 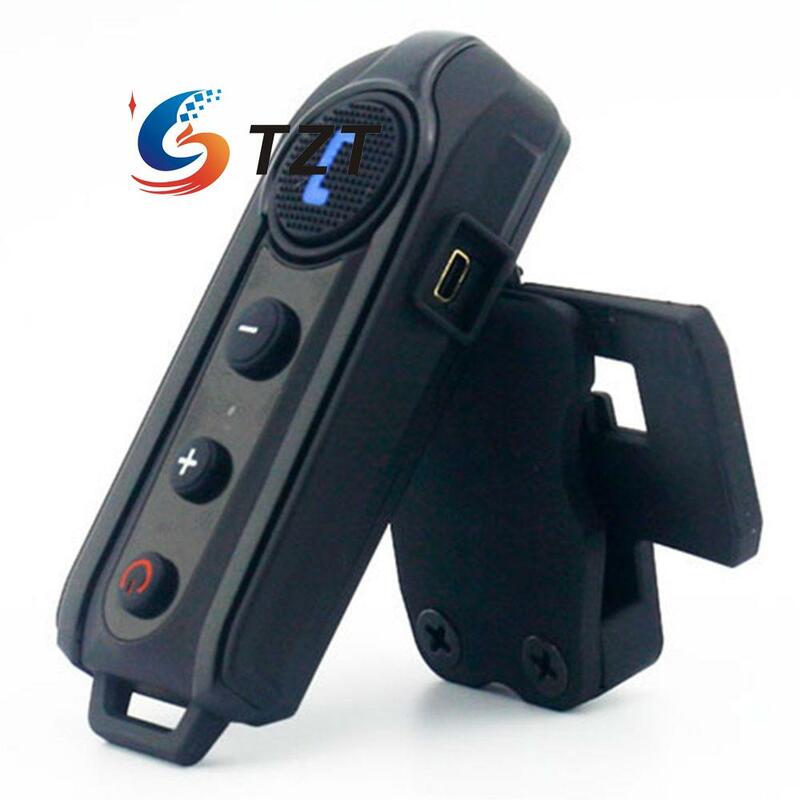 2.Does the device support FM Radio? 3.How long is the warranty time ? to get repairing as long as you pay a little repairing cost. 4.Can I add other accessories and save shipping cost ? Yes, we can combine to ship and save shipping cost for other accessories. 5.Do you sell the accessories extraly? Yes,we also sell the accessories separatel,if you need,please contct us via ebay message. 6.Do you offer express shipping service ? Yes, we can ship the item via DHL, UPS,FedEx ect, but you need to pay extra express shipping cost. Pls contact us for further details. 7.Does it can work with other brand intercoms ? No, generally it can not work with other brand intercoms . To avoid mistake, pls contact us before ordering if you have such a concerning. 8.What can I do if the product has something wrong ? Firstly so sorry about it. We have checked every unit carefully before shipping. if the product has something wrong by chance,pls don’t worry and just contact us via ebay message or email before leaving bad comment or filing a dispute.we’ll strive to answer all questions and resolve any problems ASAP.We never ignore our customers and their requests. 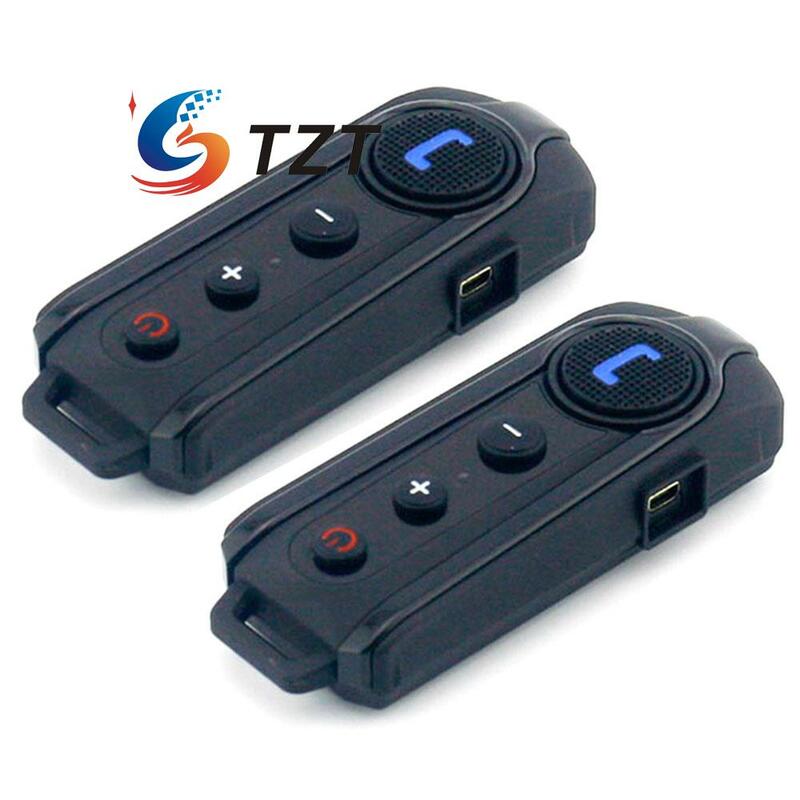 – Wireless headset for bluetooth enable cell phone at a range of up to 10 meters. 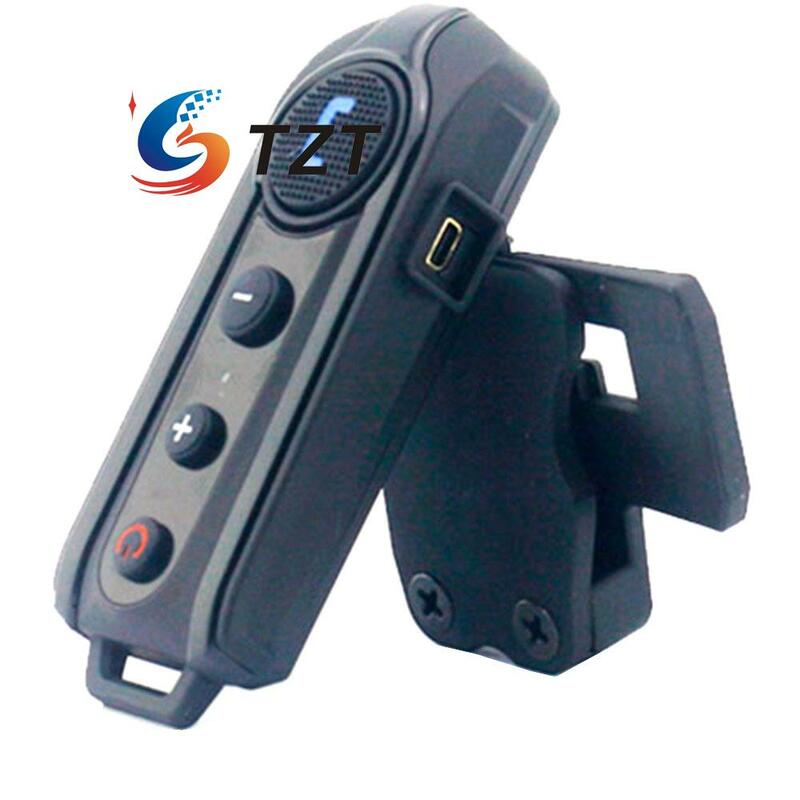 – Bike-to-bike intercom for rider& passenger or two separate bikes up to 800-1000 meters. 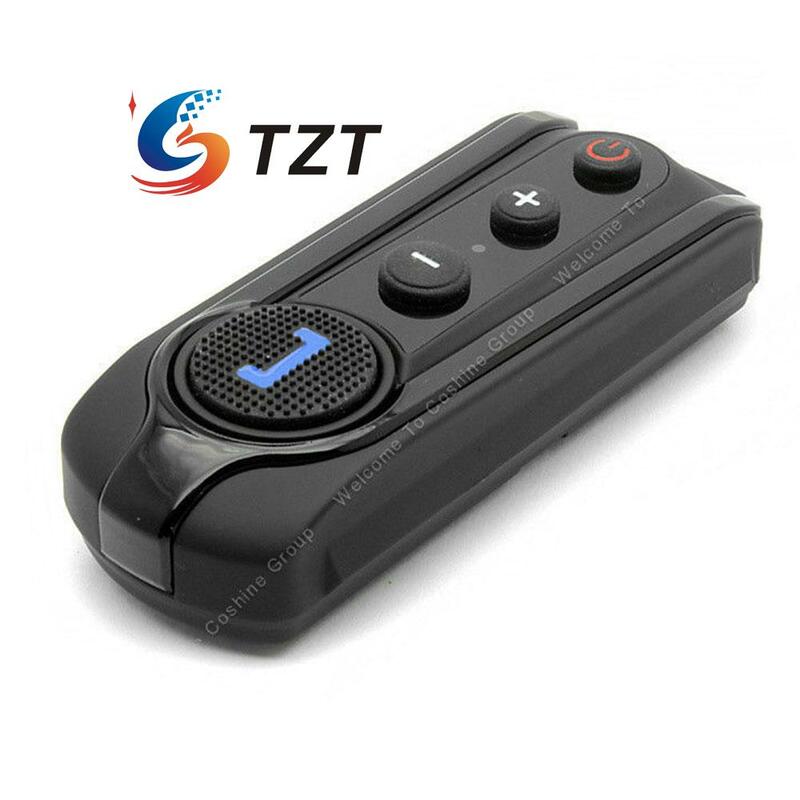 – Up to 10 hours talk time when connected to cell phone. – Up to 6 hours talk time when using the intercom feature. – Call out, call answer, call reject, call hang up. 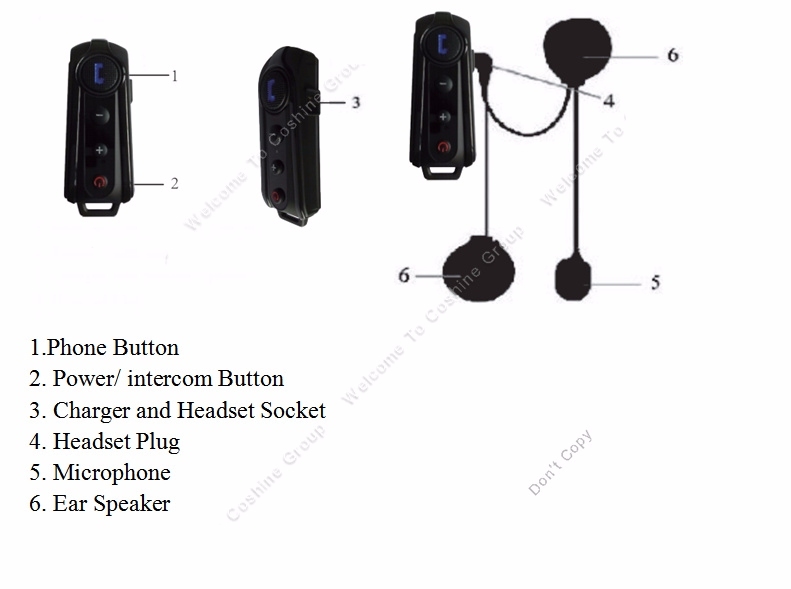 – Automatic switching among bluetooth cell phone, intercom, stereo music. – With DSP echo cancellation and noise suppression technology, crystal clear voice quality is guaranteed in a high speed. 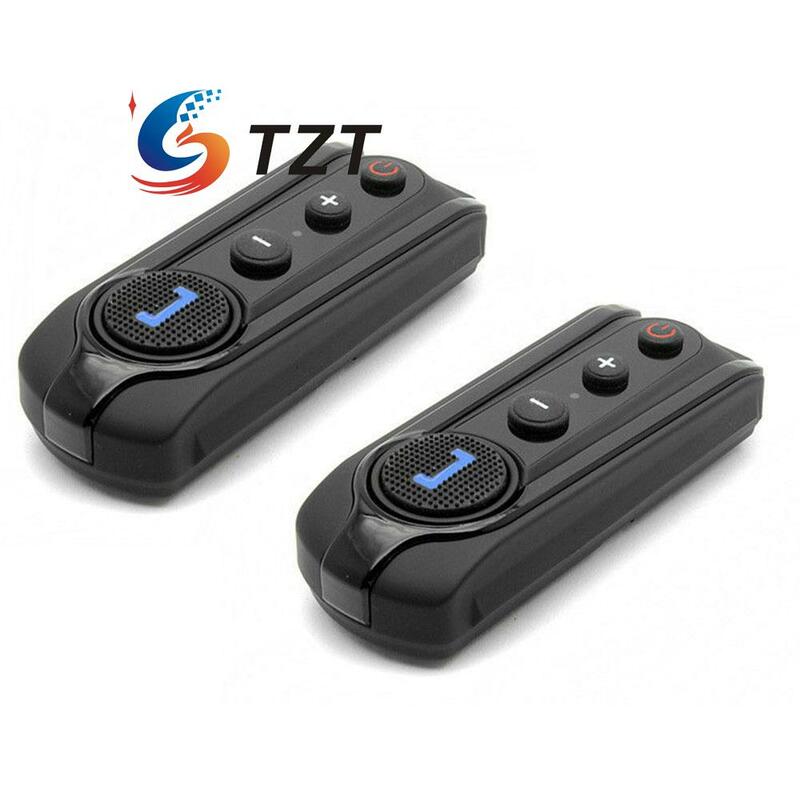 – Button panel is water-proof and sun-proof, while the design is durable. 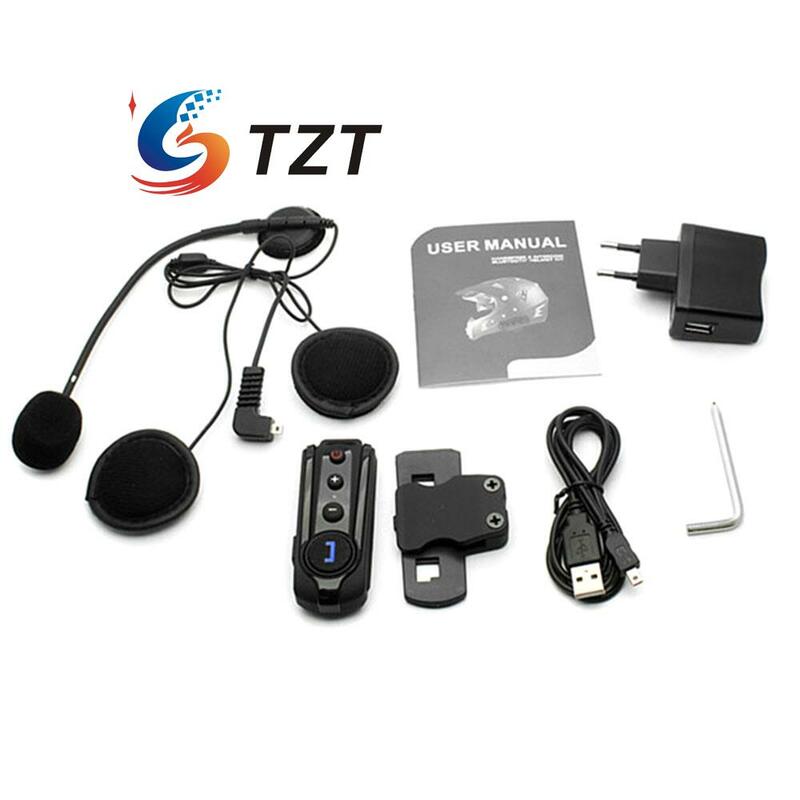 – Auto receive call â€“ Dependant on the phone the unit will automatically answer the call after 8-16 seconds of ringing. – When the unit is off, press and hold the power/intercom button at the end of the unit. – Hold the button until you see a RED AND BLUE light flashing. It normally takes around 5-8 seconds from off. Do not let go when you see the blue light. You will also hear a â€œDuDuâ€ tone when the unit enters pairing mode. – On your phone, search and attempt to pair to the device, when the device is flashing red and blue. – If requested the pairing code will be 0000 and you should set the phone to auto pair to the device. 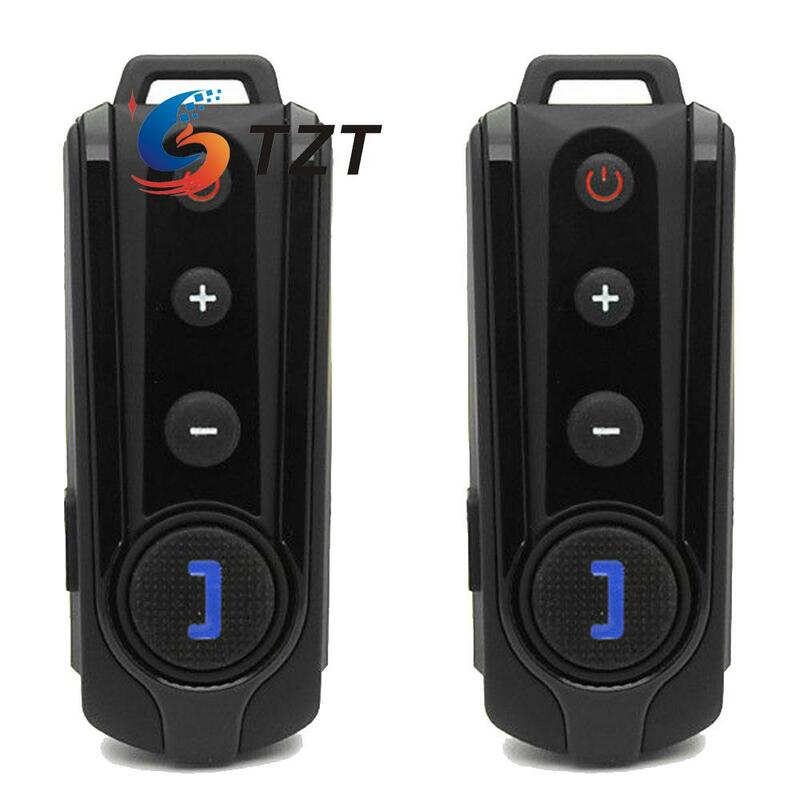 – When both devices are turned off, press and hold the power /intercom button on both devices until both units flash red/blue repeatedly. You need to hold the button for more than 6 seconds and dont let go when you see the blue light. – If this fails retry it ensuring both red/blue light sequences are initiated simultaneously and are close together. Also ensure any other Bluetooth devices are turned off. – When paired, you do not need to go into pairing mode again. In future you only need to go into standby mode (blue light flashing) on both units and press the button on one of the devices.